Lean IT Foundation helps IT organizations to ensure that they provide their customers with the best possible services. By understanding customer value, the processes that deliver this value, how to manage performance, the way to organize, and the required attitude and behaviors, IT organizations are able to develop a continuous improvement mindset. Lean IT complements IT best practice methods such as ITIL®, PRINCE2® and P3O®. Leadership is critical for the success of all Lean IT initiatives. This course describes both the aspired state of leadership and the journey IT organizations take to achieve their goals. Through this qualification participants involved with Lean IT are able to validate their leadership of Lean methodology.The learning outcomes of the Lean IT Leadership course provides the required skills and knowledge participants need and via certification are able to demonstrate they’ve successfully acquired. At the end of this course, participants will be able to. Understand the concept of Lean Leadership. Know the application of Lean Leadership in the context of IT. Use the Lean IT Leadership development model. 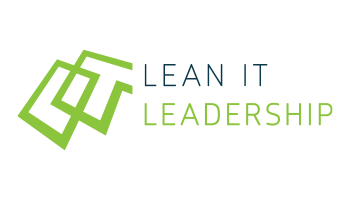 Develop yourself towards being a Lean IT leader. Help others in developing themselves as Lean IT leaders. Align the vision and goals of your organization. Understand the concept of change in an organization. A Lean IT Foundation certificate is a prerequisite for this course.